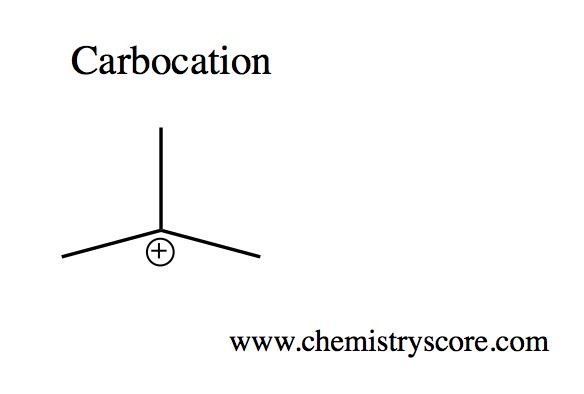 A carbocation is an intermediate compound containing a positively charged carbon atom. The carbocation is also an electrophile, because the positive charge on the carbon shows that the p orbital is empty, and thus can readily receive electrons. More importantly, note that the definition of a carbocation and a Lewis acid are very similar. Recall that a Lewis acid is an acid that can easily accept protons, and thus is referred to as electron-accepting.